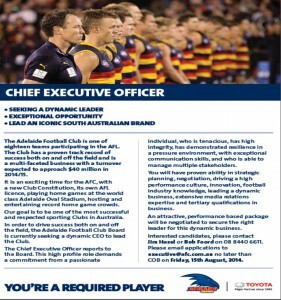 The Adelaide Football Club is seeking a new CEO. 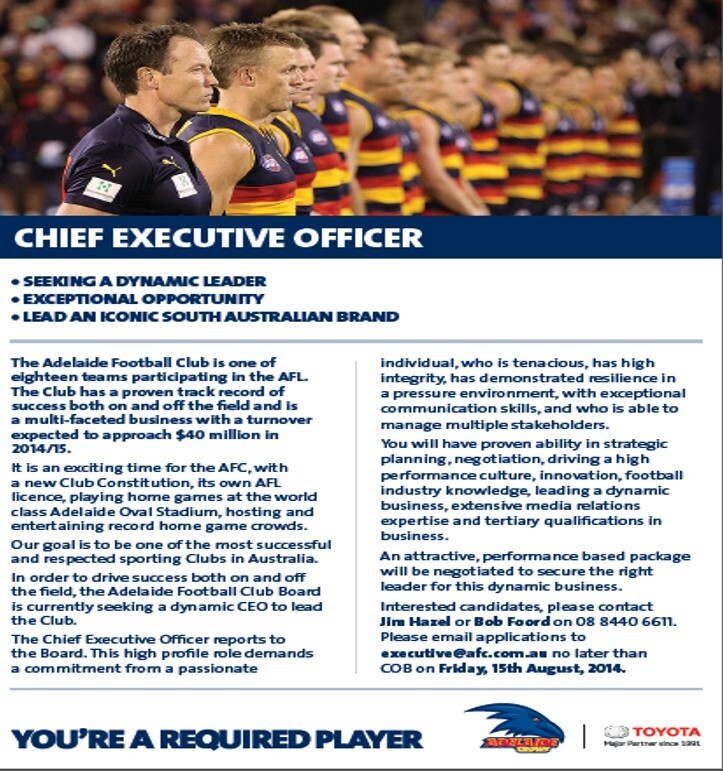 The Adelaide Football Club is seeking a new Chief Executive Officer. 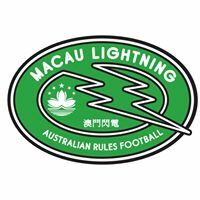 The position has recently been advertised in major Australian publications and online employment sites. 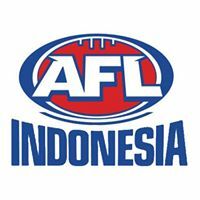 However, in Adelaide’s efforts to extend the search for the best possible candidates with Australian citizenship, they have also requested AFL Asia to help distribute through our network. 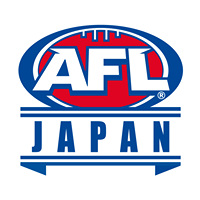 AFL Asia is keen to develop relationships with AFL Clubs and accordingly, the advertisement is reproduced below with relevant contact details. 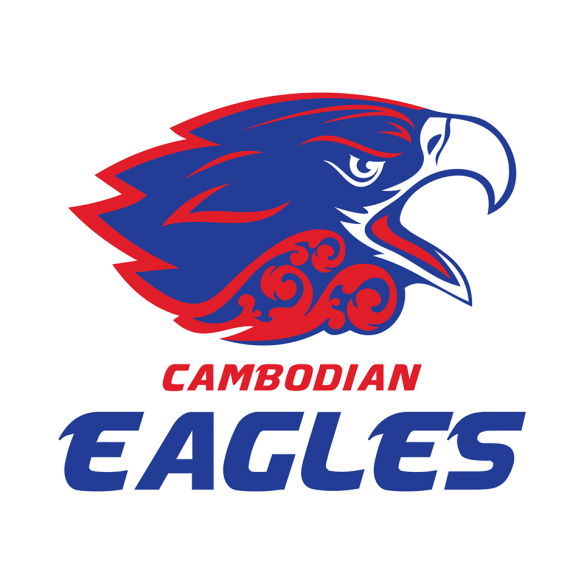 The Adelaide Football Club is one of eighteen teams participating in the AFL. 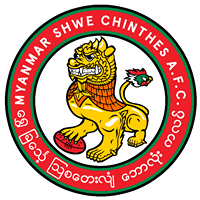 The Club has a proven track record of success both on and off the field and is a multi-faceted business with a turnover expected to approach $40 million in 2014/15. 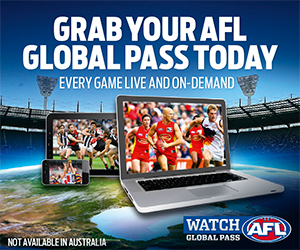 It is an exciting time for the AFC, with a new Club Constitution, its own AFL licence, playing home games at the world class Adelaide Oval Stadium, hosting and entertaining record home game crowds. 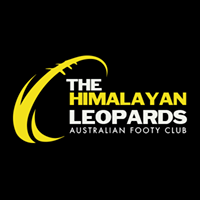 Our goal is to be one of the most successful and respected sporting Clubs in Australia. 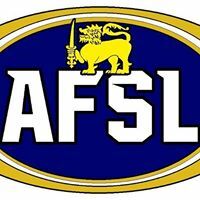 In order to drive success both on and off the field, the Adelaide Football Club Board is currently seeking a dynamic CEO to lead the Club. The Chief Executive Officer reports to the Board. This high profile role demands a commitment from a passionate individual, who is tenacious, has high integrity, has demonstrated resilience in a pressure environment, with exceptional communication skills, and who is able to manage multiple stakeholders. 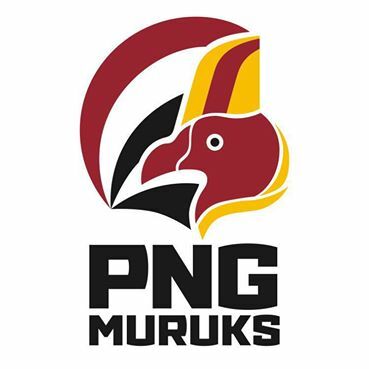 You will have proven ability in strategic planning, negotiation, driving a high performance culture, innovation, football industry knowledge, leading a dynamic business, extensive media relations expertise and tertiary qualifications in business. An attractive, performance based package will be negotiated to secure the right leader for this dynamic business. Interested candidates, please contact Jim Hazel or Bob Foord on 08 8440 6611. 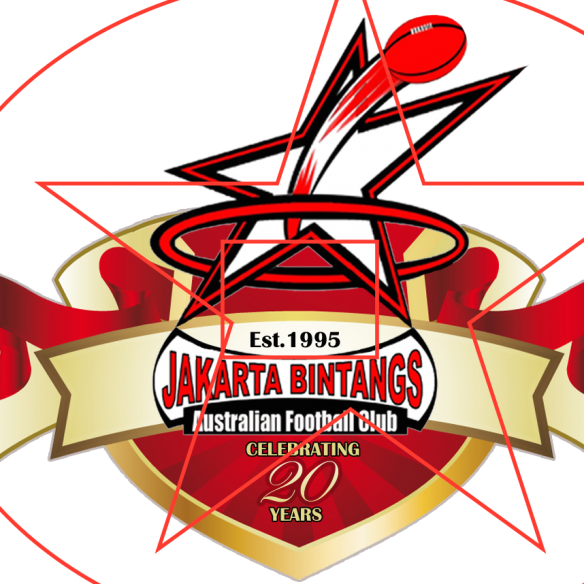 Please email applications to executive@afc.com.au no later than COB on Friday, 15th August, 2014.